The ABCD Diaries: Spring Favorites from Cuddle Barn! Cuddle Barn makes the cutest singing and dancing stuffed animal gifts! They have some totally adorable new additions just in time for Spring gifting. Miss Kit-Tea - This 10" Kitty dances and spins to "I'm a Little Teapot"
Lolli- This 11" Bear bops and licks her lollipop to "Lollipop"
Buttons- This 10" Doggie flaps his ears and bops to "How Much is that Doggie In the Window"
These cuties are sure to bring a smile to everyone's face! On top of their singing and dancing, they are super soft and cozy to cuddle with. 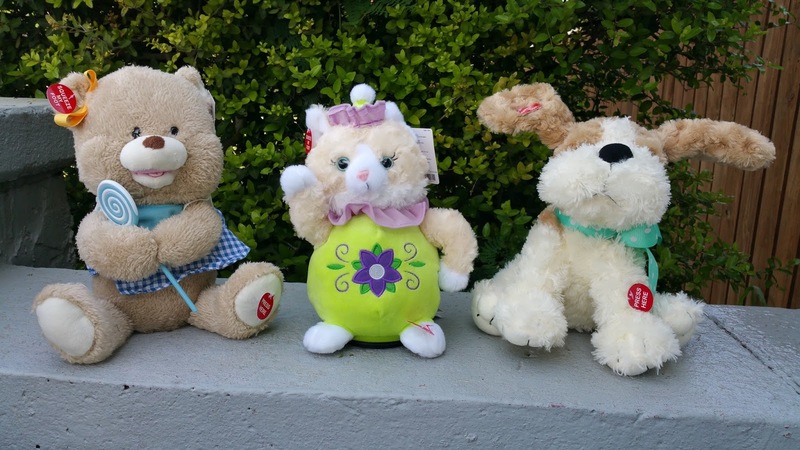 Liven up your Spring with an adorable friend from Cuddle Barn! Use code: cuddle10 for 10% off your order!